Hip Kit Club had their first online crop this weekend. I unfortunately, had a cold, so I was not able to participate nearly as much as I would like to, but I did get two challenges done- the colour and recipe and am going to do the sketch one, because it was such a good one. This is my layout for the receipt challenge. 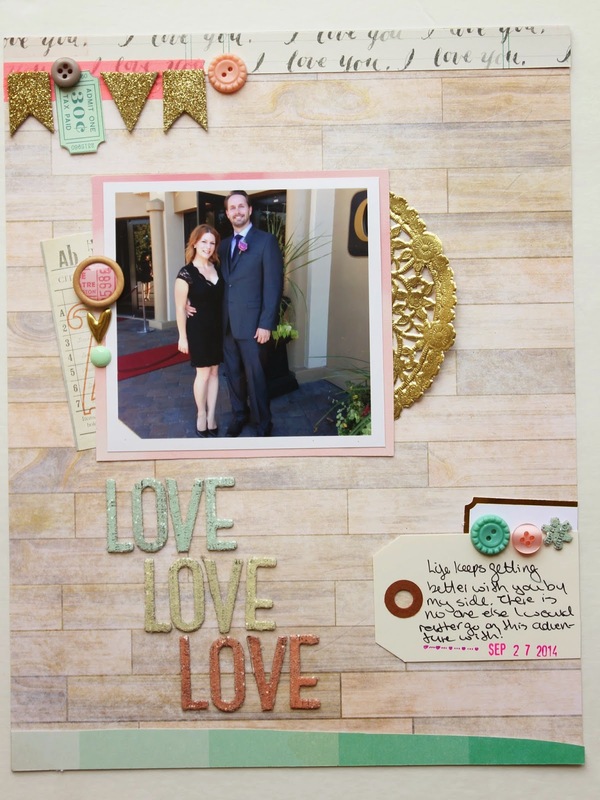 The recipe was 4 pieces of patterned paper, 1 photo, 5 buttons, 1 chipboard, 1 alpha. 1 tag, and handwritten journalling. 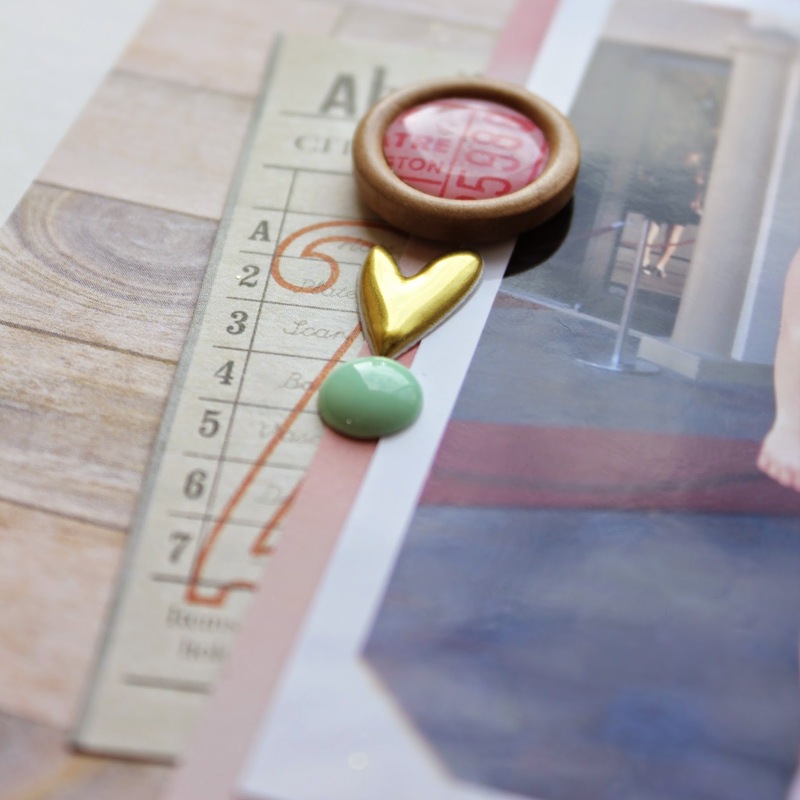 These are some older Maya Road chipboard banner pieces that I used some gold glitter Zing embossing powder on. 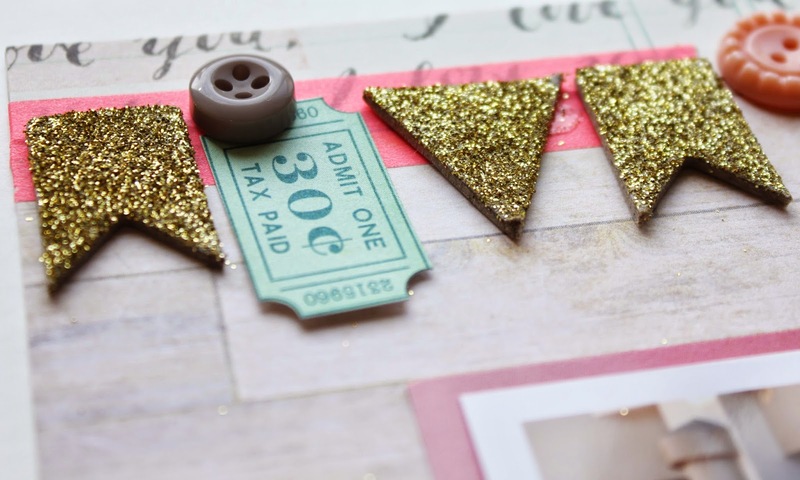 Gold glitter embossing is clearly my current obsession and don't see it stopping any time soon. I made a banner with a tiny tag cut from a piece of patterned paper. Also, buttons 1 and 2. I layered it all over some neon pink washi. I love sheets of paper that you can cut apart. The tag above is from an entire sheet that are vintage tags. It is basically the most beautiful piece of paper ever. I definitely want to use a bunch of them to make a background soon. Button 3- an older Dear Lizzy wooden one. 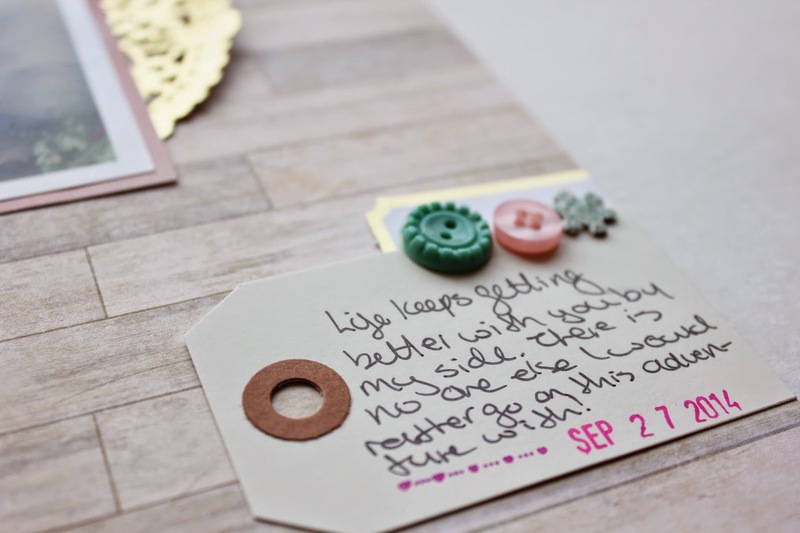 Handwritten journaling on a tag, buttons 4 and 5 and the recipe is complete. I stamped the date in Neon pink ink which is my favourite. I use every excuse I can do break out the neon. In all, I think this layout took me maybe 30-45 minutes to make, which is super fast for me. It definitely made it easy having a recipe to work with. I also usually scrap 12x12, but I've been finding the 8.5x11 so easy these days. Definitely hoping Hip Kit Club has another online crop soon! I'm new to the community and it was really nice chatting with all the ladies on the Hip Kit Club forum on Facebook. Everyone is so nice and very inspiring!